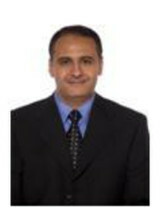 Professor Nabil EL KADHI, has 13 years of experience in management-high education and research units. He assumed various positions starting from project manager and department head to lab director, Dean and recently Provost at AMA International University Bahrain. Professor EL KADHI has more than 20 years of teaching experience in higher education institutions. He has a PhD in Computer Sciences “formal verification of cryptographic protocols (INRIA Rocquencourt France (1998-2000) with the initiative Verified Internet Protocols and the European project TASK)”. He started his professional activities early 90th as a lecturer, programmer and IT manager in public/private institutions. He worked at EPITCH-Paris (2000-2008); he was major stone in developing EPITECH Curricula and research activities. Professor EL KADHI contributed to several industrial projects: Artificial intelligence, automatic translation, secure payment, smart card use, Automation, Mechatronics and Robotics As vice-president of KnK Partner, a think tank to bridge the gap between universities and corporate, I developed, managed 3 specialized Master degrees. As a manager and strategic leader, he successfully conduct various QA and accreditations with various scopes: institutional, programme review and international accreditations Professor EL KADHI has more than 50 International publications indexed by ACM, IEEE, DBLP and others, he is reviewers in various engineering and computer sciences international scientific journals. He is considered today as one among the international specialist in cyber security.